A few days before the end of the first 100 days of the Duterte administration and her own first 100 days in the department, Department of Social Welfare and Development (DSWD) Secretary Judy M. Taguiwalo shared a few achievements of the department when it comes to providing assistance to senior citizens. She said that this assistance is far from sufficient, but it is intended to ease some of the burdens of the country’s indigent senior members. “As the Duterte administration’s lead agency for welfare, it is part of the DSWD’s mandate to monitor the plight of senior citizens and to give what assistance and services it can to help them. One of the true tests of a society’s capacity for compassion and mercy is its ability to take care of its vulnerable members, namely children and the elderly. It is traditional for Filipinos to respect their elders, but when this respect is operationalized on a societal level, we are unable to show it. Much has to be done to take care of our senior citizens, especially those who have no means to sufficiently sustain themselves,” Sec. Taguiwalo said. The DSWD maintains four residential care for older persons ages 60 and above, both male and female who are abandoned and neglected. The four centers for older persons are Golden Acres: Haven for Elderly in Tanay, Rizal; Home for the Elderly in Zamboanga City; Home for the Aged in Tagum City; GRACES (Golden Reception and Center for Elderly and other special needs) in Quezon City. The four centers have a budget allotment of P60,911,280.00. As of September 30, 2016, P38,311,087.13 or 62.9% of the allotted budget for these centers have been utilized. Golden Acres: Haven for Elderly, which has a 300 bed capacity, has served 244 clients as of June 2016. Of these total, 94 are male while 150 are female. As of September 30, 2016, out of its P21M budget, P7,541,183.25 or 35.9% has already been utilized. In GRACES where the bed capacity is only 200 actually serves 301 from June 2016 report, and even went up to 342 clients served as of September 30 2016 report. As of June 2016, GRACES has served 149 male clients and 152 female clients. 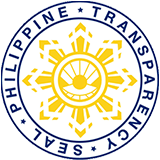 Reports as of September 30, 2016 shows that of the P28,124,250.00 budget allotted CY 2016 for GRACES, 87.1% or 24,496,708.86 has already been utilized. Home for the Elderly, which only has a bed capacity of 45, has served 82 clients as of September 30, 2016. This number went up to 82 from 61 with a breakdown of 31 men and 30 women, based on reports from June 2016. The allocated budget CY 2016 for the center is P5,887,030.00 has a utilization rate as of September 30, 2016 of 38.1% or P2,241,454.53. The Home for the Aged which has a 60 bed capacity helps 72 clients, based on two reports coming from June and September this year. Of this total, 32 are women and 40 men. With a budget allocation this year of P5,900,000.00, 68.3% or P4,031,740.49 have been utilized. “Our records show that we need more centers, or we need to expand their respective bed capacity and facilities. Our centers, including our centers for senior citizens, need to be improved so they can admit more of our neglected elderly members,” Sec. Taguiwalo said. In the meantime, Sec. Taguiwalo also shared information on the status of its Social Pension Program for Indigent Senior Citizens (SocPen) which covers seniors who are frail, sickly, do not receive any pension, and have no other source of income and support coming from their families. “Caring for the poor elderly is very important, and it is necessary to build a national consciousness that cares for the vulnerable, neglected and the oppressed sectors of society,” she said. The SocPen provides quarterly stipend amounting to P500 per month to assist the beneficiaries with their daily living and medical needs. The indigent senior citizen or their authorized representative must present their OSCA ID and birth certificate or any other document proving their date of birth to the nearest Office of the Senior Citizens Affairs (OSCA), City/ Municipal Social Welfare and Development Office (C/MSWDO), or DSWD Regional Office. Aside from the said requirements above, the authorized representative must also present his/her identification card and an authorization letter. All potential beneficiaries will be subject to an assessment to ensure that they qualify for the program. “For this year, we have a total budget of P8,255,820,000 for the social pension of 1,375,970 target beneficiaries. Some 54.20% or P4,243,330,500 of the said allocation has already been utilized for this year. Actual served and fund utilization per quarter are as follow: 90.15% of beneficiaries and P1,759,786,500 fund utilized for the 1st quarter; 84.95% of beneficiaries and P1,657,876,500 fund utilized for the 2nd quarter; and 42.58% of beneficiaries and P825,667,500 fund utilized for the 3rd quarter. Delivery of the social pension is ongoing,” Sec. Taguiwalo said. For the NCR, the total budget for SocPen amounts to 437,004,000 for their 85,185 target beneficiaries. As of September 30, 2016, some 54.29% or 237,258,000 has been utilized. 84.23% of beneficiaries and P92,022,000 fund utilized for the 1st quarter; 79.82% of beneficiaries and P87,208,500 fund utilized for the 2nd quarter; and 53.11% of beneficiaries and P58,027,500 fund utilized for the 3rd quarter. In Region I, the total budget for SocPen amounts to 511,110,000 for their 85,185 target beneficiaries. As of September 30, 2016, 55.99% or 286,180,500 has been utilized. 98.91% of beneficiaries and P121,564,500 fund utilized for the 1st quarter; 72.43% of beneficiaries and P87,679,500 fund utilized for the 2nd quarter; and 66.33% of beneficiaries and P76,936,500 fund utilized for the 3rd quarter. In CAR, the total budget for SocPen amounts to 421,722,000 for their 70,287 target beneficiaries. As of September 30, 2016, 55.62% or 234,559,500 has been utilized. 97.37% of beneficiaries and P102,661,500 fund utilized for the 1st quarter; 81.82% of beneficiaries and P86,263,500 fund utilized for the 2nd quarter; and 43.28%% of beneficiaries and P45,634,500 fund utilized for the 3rd quarter. For ARMM, the total budget for SocPen amounts to 426,522,000 for their 71,087 target beneficiaries.